We don’t claim to be experts when it comes to using steroids. We are natural bodybuilders and have never used any drugs to enhance our gains, recover faster or to slim down. In fact, we have never even seriously considered it and don’t plan to in the future. We aren’t morally against it or anything – it’s just our choice. The purpose of this statement is not to put people down who do use steroids but to give you a bit of background on the type of lifters we are so you can put our opinions into context. If you choose to use steroids that’s your call and we respect your decision 100% – it’s your body do what you want. 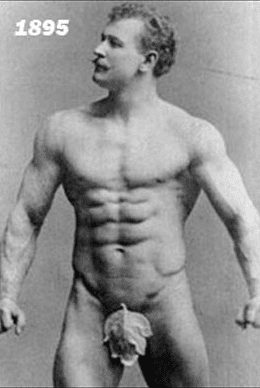 What bothers us is when people who DO take steroids claim to be “100% NATTY”. This gives people unrealistic expectations about the kind of muscle they can build. Then when they only build 10 pounds of muscle in a year they write to us complaining that they have bad genetics and can’t make gains as fast as their steroid-taking friends. There are a number of reasons people lie about their steroid use. First, many supplement companies will refuse to sponsor someone who is known to use steroids. Therefore, they are better off saying they are natural even if it is glaringly obvious they cycle. Second, society still labels steroids as cheating even though literally every top bodybuilder takes them. They feel people will credit all their gains to steroids even though you still need to work very hard to get huge even if you are taking steroids. Aside from Planet Fitness every gym has at least a few guys that really stand out amongst all the skinny-fat noobs. They have significantly more muscle mass than everyone else and seem to have “figured it out”. “The Arm Workout Phil Heath Uses to Get Ready for the Olympia”. Or if a famous actor needs to get in shape for a movie, you better believe Men’s Health and other fitness magazines will jump all over it and publish their so-called workout. This triggers people to drop whatever workout they were doing (even if they were making gains) and switch over to this new fad routine. It makes sense to switch up your routine to one that is proven to be successful, however the fact that this guy was using steroids really makes it pointless. As we learned from the study described earlier in this article, people who are taking steroids can make gains WITHOUT EVEN LIFTING WEIGHTS. Therefore, even if they are on the worst training program or diet will still make solid gains. The routine might be terrible for a natural trainee but for a guy who is taking steroids it will still result in solid muscle growth. This is why you see these training programs that go against all conventional bodybuilding wisdom. For example, one guy will talk about doing nothing but isolation exercises and train for an hours. Their back day will consist of 20 different row variations yet doesn’t include pull-ups or deadlifts. However, when a guy who is natural tries the routine they end up spiking their cortisol levels from overtraining and actually end up with a worse physique. The truth is that with steroids you can do pretty much any routine and still see results but when you are training naturally you need to optimize it as much as possible. You simply can’t copy the same training routine as a guy who takes steroids and expect to see the same results. These guys are on a different playing field – you are better off comparing yourself to other natural lifters. As we discussed earlier, guys who train naturally have a much slower rate of muscle growth compared to those taking drugs. Unfortunately when you just start lifting you don’t really know the difference between natural and steroid bodybuilding and think that you can get huge in no time. The result is that after a few months lifting you get frustrated that you have only built 5 pounds of muscle (which is actually quite an accomplishment). This frustration leads to switching diets and training programs every two weeks in order to speed up the rate of growth. They also start purchasing every scam supplement in sight thinking it will make a big difference. 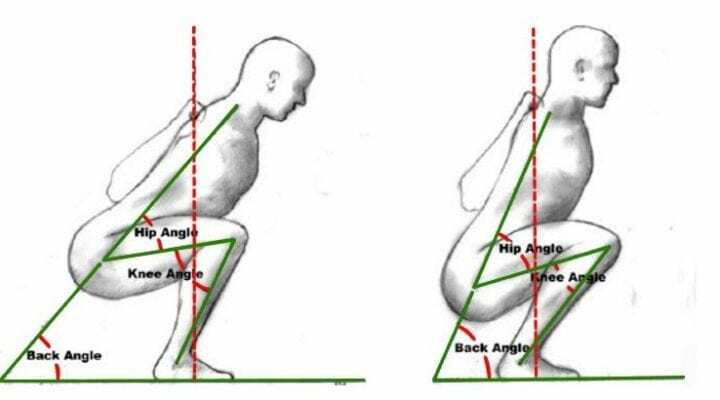 They assume they aren’t succeeding even when they are actually getting great results for a natural lifter. Generally they end up quitting all together out of frustration and lose out on what could have been a great body. Have you tried many supplements? If you have let me ask you a question. How many of these supplements did you research on your own? By researching supplements and looking at studies you will get a good idea if the supplement is a scam or might actually be good. A well researched supplement with good ingredients can definitely help you to build muscle faster. As discussed previously in this article steroid users were able to gain much more muscle. Because they got more testosterone in their body. Testosterone is king when it comes down to building muscle. So how do I get more testosterone without taking steroids? There are a few legit supplements out there that can increase testosterone levels. Most of them are a scam but a handful of them contain good ingredients that work. We’ve actually put a lot of effort and energy in researching the testosterone boosting supplements that work. So if you are interested in getting higher testosterone levels. A high quality testosterone booster might be the thing you are missing. Chances are we’ve all heard a girl mention she trained a certain way because she didn’t want to end up like one of those professional female bodybuilders. Look, we understand you want to look a certain way and that’s fine – but those women didn’t end up looking like that as a fluke. The truth is that women need to lift heavy and take steroids in order to build a lot of muscle due to their lower testosterone levels. Once again it comes down to drug use. The same misconception that causes men to think they can get huge quickly makes women think they will build massive arms if they train with 10 pound dumbells instead of 2 pounders. As a result, they train too lightly and don’t boost their metabolism enough to actually encourage fat loss. Look – you can still lift heavy weights as a woman and not get muscular as long as you aren’t eating tons of food and taking steroids. Zyzz told us that “we are all going to make it” but the truth is he was open about his steroid use. Nevertheless guys thought they could get a comparable physique by training naturally if they copied his routine. We assume that because someone has achieved a great physique they are an expert on the topic and we should follow all their tips. So why is this not necessarily true? First of all, Zyzz admitted that he didn’t count his calories and can be seen eating ice cream in some of his videos. If a natural lifter ate junk food and didn’t count calories they would be at risk of putting on fat. This is an example of how taking drugs can overcome an incomplete training/diet program. They might recommend doing something a certain way because it worked for them but because we are natural lifters we need to be more thorough. It’s not uncommon to hear some of the worst advice coming from the guys who are in the best shape. This is always a case of drugs compensating for stupidity. Now, we aren’t saying all huge guys don’t train properly. Many of them are very committed to eating clean and lifting heavy and as a result get even better results. The top bodybuilders in the world manage every tiny detail of their lives to optimize their gains because the competition at that level is fierce. However, for steroid users just trying to build a nice body for the beach that level of detail isn’t necessary. Once again we want to remind you that this is not an anti-steroid article. The purpose was just to help natural bodybuilders set realistic expectations for themselves so that they don’t end up quitting out of frustration. 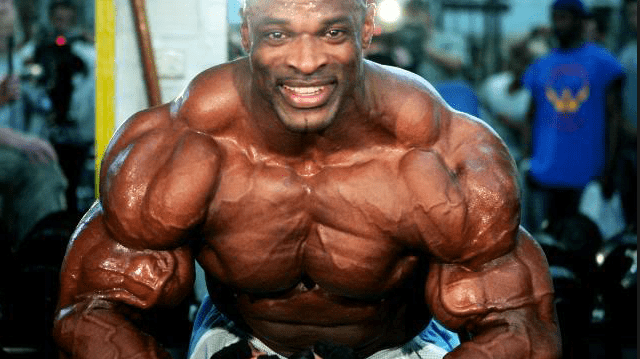 We don’t care if you want to use steroids and in fact if you dream of being the next Mr. Olympia you will probably have to take them in order to stand a chance. We also aren’t recommending that you take them – that’s a decision you will need to research thoroughly and make for yourself. Just be aware of the differences in natural bodybuilding and steroid bodybuilding and set your expectations accordingly. Are There Ways to Increase Testosterone Levels Naturally? At this point you are probably wondering if there are ways to increase your testosterone levels naturally. Look, having high t-levels makes bodybuilding way easier – you will make gains faster and you will be less likely to put on fat. So what are some ways to bump those t-levels? First, you want to make sure you are getting plenty of sleep as this is when your body produced the most testosterone. Cutting your sleep short also reduces testosterone production. Second, keep your stress levels low. High stress levels bump up your cortisol levels which encourages muscle loss and fat gain. Third, consume a clean diet and do compound exercises at the gym that work multiple muscle groups at once. Finally, take a natural testosterone booster. These products use ingredients which are scientifically proven to boost testosterone levels. By taking them all together you get a nice synergistic effect not to mention it’s way more convenient. A high-quality product will obviously cost you more but when combined with the other tips mentioned above you can be sure your testosterone levels will be as high as you can get them while still being a natural trainee.